Jars of Clay were the breakout band of the so-called alternative CCM movement of the '90s, scoring an enormous mainstream hit with the debut single "Flood" and enjoying platinum sales. 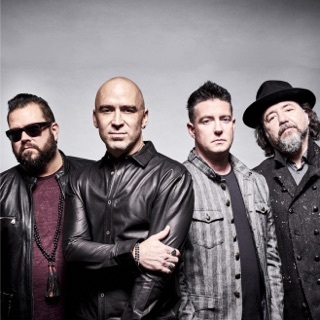 The group's lyrics may have been exclusively Christian, but their acoustic-oriented music fit perfectly into the folky jangle pop wing of alternative rock radio, at the time a rarity on the contemporary Christian music scene. 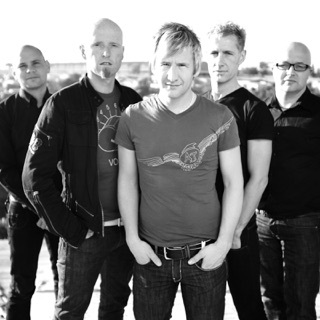 Such success set the stage for breakthroughs by Christian bands like dc Talk and Sixpence None the Richer, and it's difficult to imagine the later popularity of heavier, Christian-themed hard rockers like Creed and P.O.D. without Jars of Clay's fusion of spiritual themes and mainstream alternative rock sounds. As popular tastes shifted, Jars of Clay found it increasingly difficult to maintain a secular audience, but still commanded a sizable Christian following while remaining one of the highest-profile groups in any gospel-music subgenre. Jars of Clay were formed at Illinois' Greenville College in 1993 by singer/songwriter Dan Haseltine and keyboardist Charlie Lowell; they soon added guitarist Stephen Mason, who shared Haseltine's fondness for Toad the Wet Sprocket (a good secular reference point for the typical Jars of Clay sound). All three were music majors in the college's new CCM department, and they initially banded together to write a song for a class recording project. Eventually, they chose a name for the band from a verse in the second book of Corinthians, which emphasized the frailty of the physical vessels in which God had placed the human spirit. Second guitarist Matt Bronleewe joined up later, and drummer Scott Savage became part of the band's live lineup, though they continued to use electronic drum loops on some of their recordings. Encouraged by the response to their small repertoire of originals, the band entered a talent competition run by the Gospel Music Association in 1994. 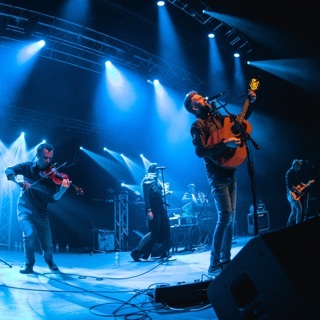 After being chosen as finalists on the strength of their demo tape, Jars of Clay traveled to Nashville to perform for industry executives and wound up winning the contest. They returned to Greenville and began selling a self-released demo CD called Frail, leading to interest from record labels (several of whom began calling the musicians' dorm in the hopes of signing them). With such intense interest, the band decided to leave school and relocate to Nashville permanently; at this point, Bronleewe departed the lineup, wanting to finish school and settle down with his fiancée, and was replaced by Lowell's childhood friend Matt Odmark. After considering several offers, Jars of Clay signed with the smaller Essential label, which nonetheless had ample distribution power through its parent company, Brentwood, as well as its arrangement with the secular label Silvertone. As the group was recording its self-titled debut album, Frail caught the ear of prog rock guitarist (and recent Christian convert) Adrian Belew, who offered to produce a couple of tracks for the record. One of those songs was "Flood," which became a runaway hit on Christian radio upon the album's release in the spring of 1995. When "Flood" began to catch on with secular stations as well (particularly in the Northwest), Silvertone threw its full promotional muscle behind the album, and by early 1996, the song was a major crossover hit on mainstream rock radio, modern rock radio, and the pop charts. (Its peak of number 37 on the latter makes it one of many '90s-era hits whose release formats affected its chart eligibility, thus obscuring how massively popular it really was.) "Flood" helped push sales of Jars of Clay past the double-platinum mark, a stunning showing for a Christian group. Some secular listeners and radio programmers hadn't realized that Jars of Clay were a Christian band, and there was something of a backlash when that fact became more widely publicized. 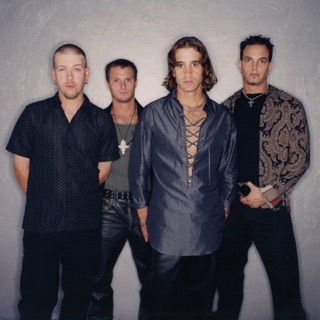 What was more, the group was criticized in some Christian quarters for touring with secular alternative rock bands during 1996. Jars of Clay spent most of the year on the road before taking a break to work on material for a second album, having already released the Christmas EP Little Drummer Boy at the end of 1995. After enlisting the help of British producer Steve Lipson, Jars of Clay released the sophomore effort Much Afraid in 1997. The record debuted in the Top Ten on the pop charts and not only went platinum, but won a Grammy Award for Best Pop/Contemporary Gospel Album. Despite some success with the singles "Five Candles" and "Crazy Times," however, Much Afraid didn't gain the same level of mainstream exposure as its predecessor. Nonetheless, the band's Christian audience remained loyal, sending the 1999 effort If I Left the Zoo (produced by Dennis Herring, who'd also worked with Counting Crows) to gold status. By this time, Savage had left the band's concert lineup in order to back Jaci Velasquez, and was replaced by Joe Porter. Jars of Clay self-produced their fourth studio album, The Eleventh Hour, which was released in early 2002 and followed by a live DVD.